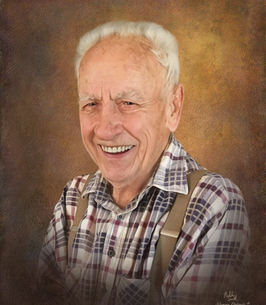 Mr. Harry Nelson Brown, age 92, of Vevay, Indiana, entered this life on February 12, 1926, in Falmouth, Kentucky, the loving son of the late, Orval Nelson and Lelia Mae (Benning) Brown. He was raised in Bright, Indiana and was a 1943 graduate of Bright High School. Harry was inducted into the United States Navy in 1945, serving during World War II. He was honorably discharged in 1947, with the rank of Seaman First Class. He was employed for Schenley Distillery in Lawrenceburg, Indiana. Harry was employed on April 20, 1949 in the instrument and control department for the Cincinnati Gas & Electric Company in Cincinnati, Ohio, retiring in 1988, after 39 years of service. 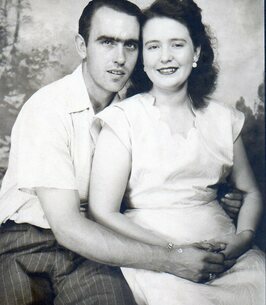 Harry was a faithful member of the Fredonia Baptist Church in Vevay, Indiana. Harry passed away at 6:30 a.m., Monday, September 17, 2018, at the Shawneespring of Harrison Healthcare Center & Rehabilitation in Harrison, Ohio. Harry is survived by his sons, Michael Nelson Brown and his wife: Connie of North Bend, OH, Harry Dean Brown & his wife: Judy of Aurora, IN and Steven Lynn Brown of Cincinnati, OH; his 4-grandsons; his granddaughter; his great-great-granddaughter; his half-sister: Helen Gerhardt of Springfield, OH. He was preceded in death by his parents, Orval Nelson and Lelia Mae (Benning) Brown; his companion, Barbara Ellen Lewis, died January 16, 2014 and his brother, Clyde Edward Brown. Friends may call 10:00 a.m. - 11:00 a.m., Friday, September 21, 2018, at the Haskell & Morrison Funeral Home, 208 Ferry Street Vevay, Indiana 47043. Funeral services will be conducted Friday, September 21, 2018, at 11:00 a.m., by Rev. Wayne Daugherty at the Haskell & Morrison Funeral Home, 208 Ferry Street Vevay, Indiana 47043. Interment will follow in the Fredonia Cemetery, Vevay, Indiana with full military rites conducted by the Honor Guard of the Vevay American Legion Post #185 and the Vevay VFW Post #5396. To send flowers to the family of Harry Nelson Brown, please visit our Heartfelt Sympathies Store.